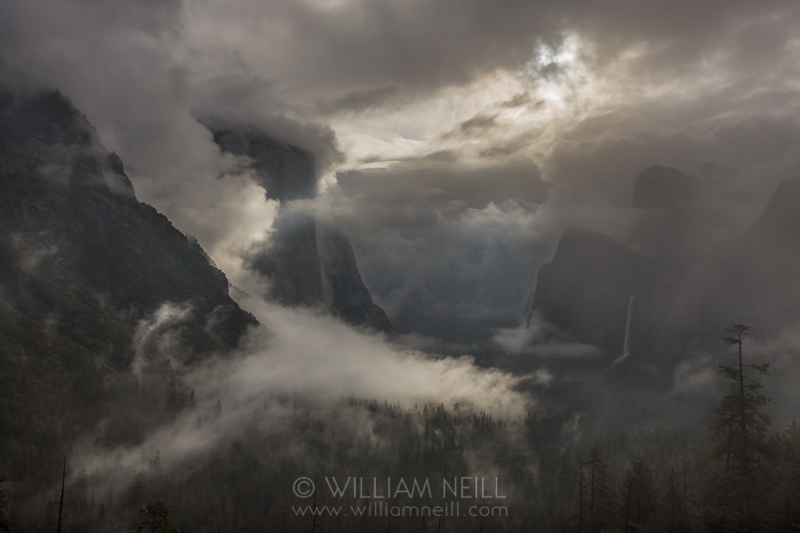 Here is my favorite image from Saturday May 7th in Yosemite. The dogwood were beautiful, and I had a blast! More to come! I posted this image on FB earlier but loaded the wrong jpg. I have been watching my crop of sunflowers carefully now for several weeks, observing the flowers closely. They say timing is everything, and yesterday morning I “harvested” this flower bringing it into my “studio” which in this case was the floor in my dining where there is great window light. I am growing several species and wanted to catch this one while the strong spiral pattern was still visible. All flowers are not created equal, so picking the right one is a highly selective process. 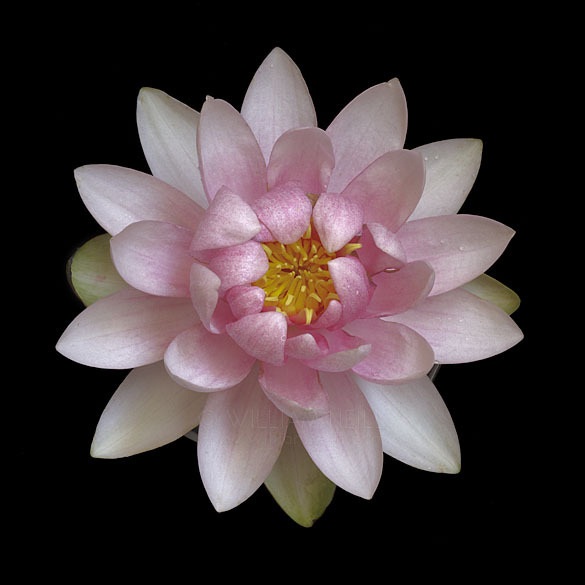 This flower was placed in a cup full of water, and placed on top a piece of black velvet. The lighting here is direct sunlight from one window. The camera was aimed straight down at the flower. 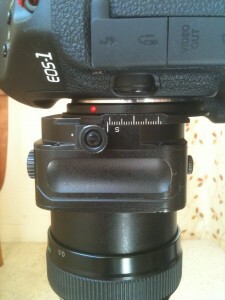 I made two exposures using my Tilt Shift lens, first photographing one half and then shifting the lens to photograph the other half. 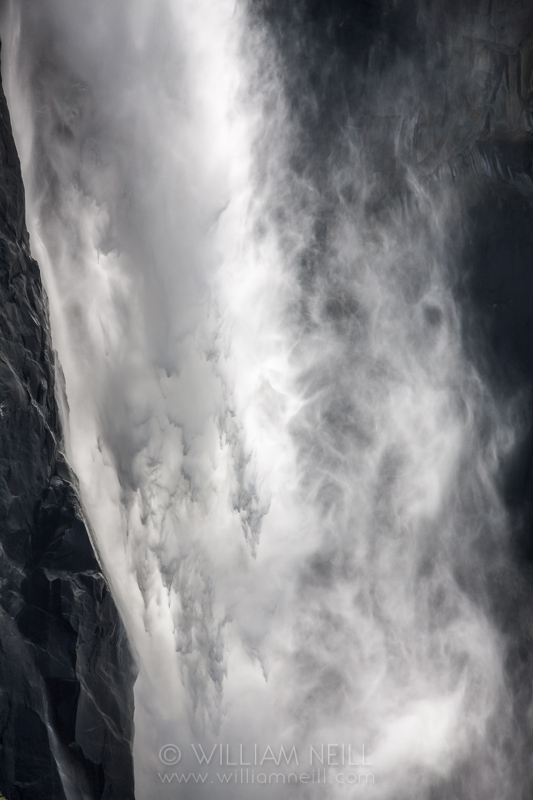 The two photos were merged using Photomerge in Photoshop CS5. 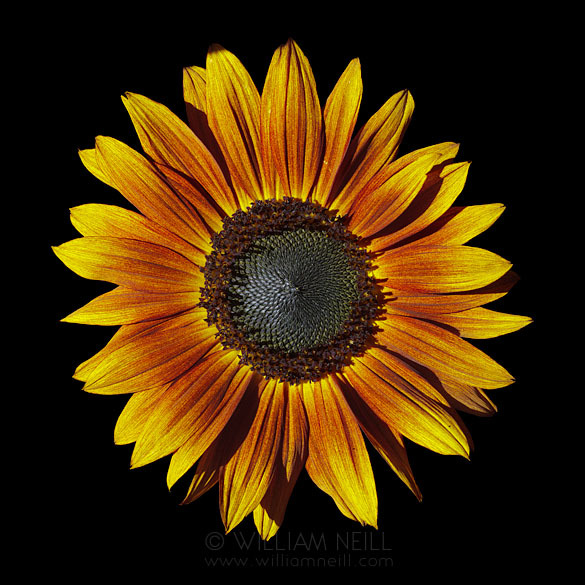 This approach gives me a square frame, which suits this round flower perfectly to me, and gives me a higher res file in case I need to do murals for my art consultant clients. See photo one of my photos installed at the University of Cincinatti above. If you haven’t used a TS lens before, I am attaching an iPhone snap I made showing the lateral, off axis shift that the lens can make. 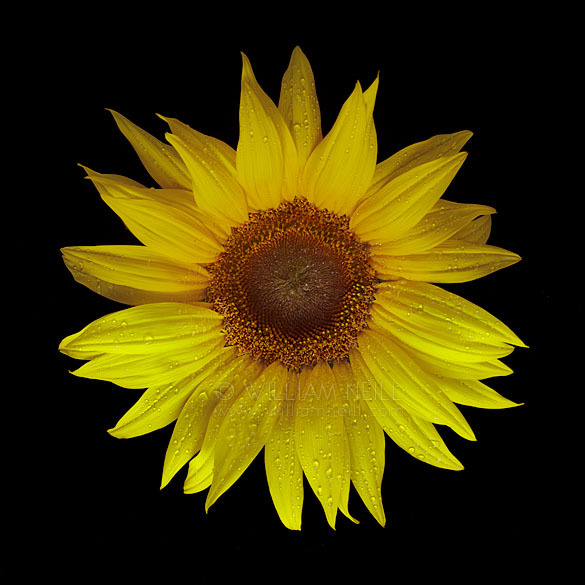 I am also including another recent sunflower photo, made by the same technique. Life is full of lessons. 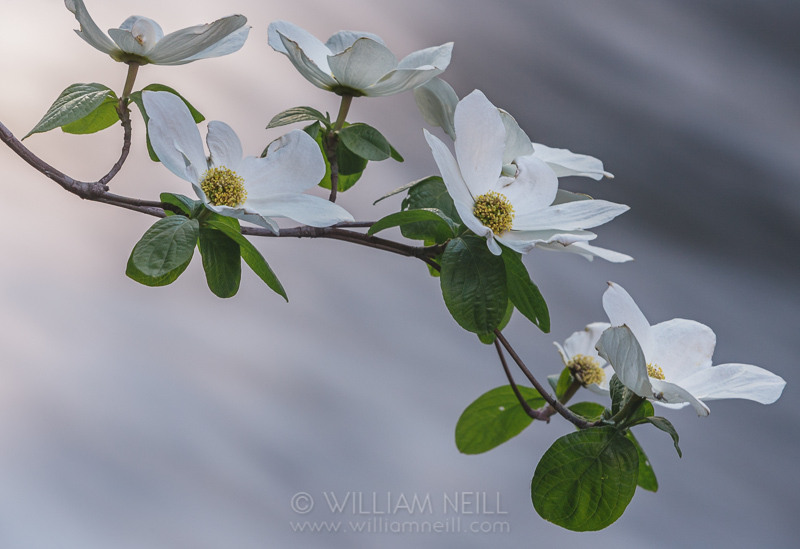 When I went to Yosemite Valley a few weeks ago, as with every spring for 33 years, I tried to create a new dogwood images. 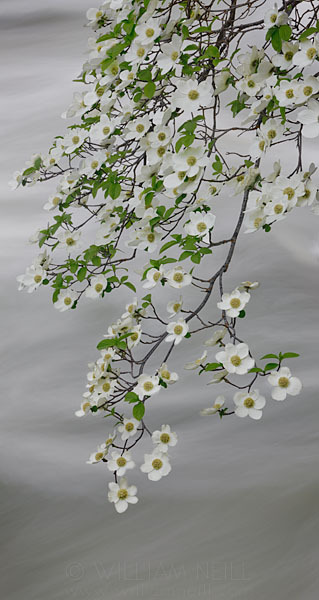 I always gravitate to the same tree where I have made my best dogwood images. I call it my Home Tree. 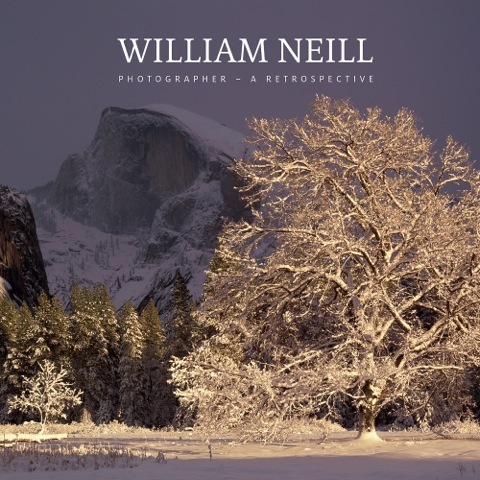 I tried a few frames of this tree again, but realized that my past images were better. So I moved on. 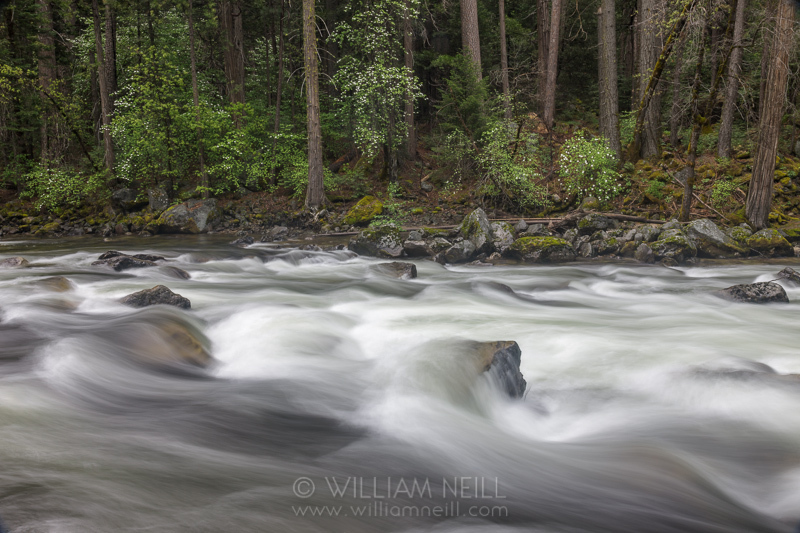 Upriver, near Pohono Bridge, I worked along the river bank, looking for a “dogwood and river rapids” image. 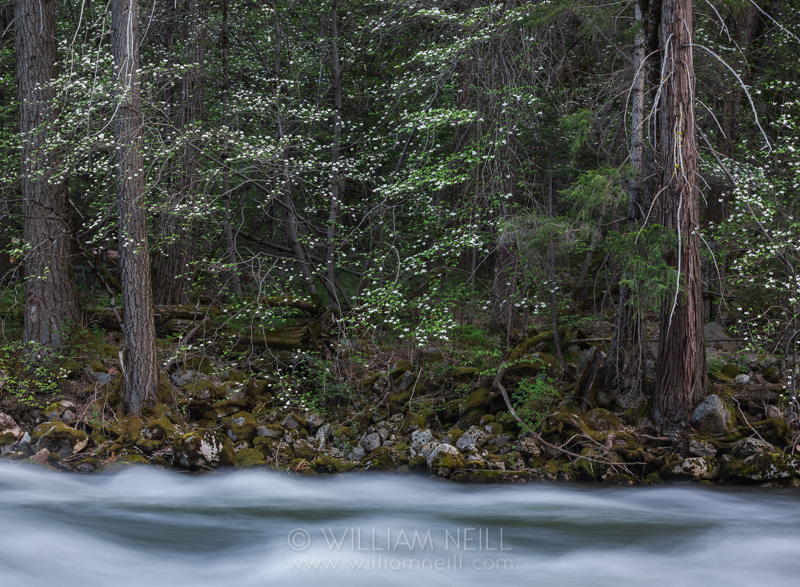 Here is one I made in 1988, but this season at this same location, the dogwood were too sparse: Dogwoods on the Merced River, Yosemite Valley, Yosemite National Park, California 1988. 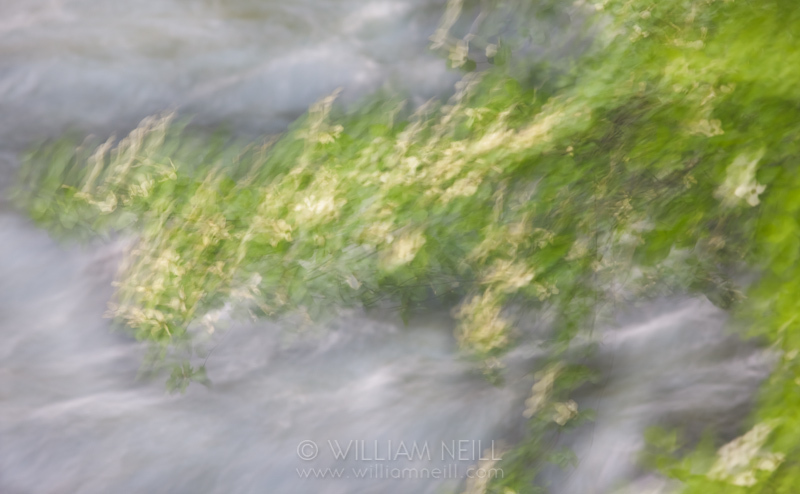 Again, I tried a few frames anyway then headed upstream to another location where I have rarely photographed. Unfortunately, I was running short on time since I needed to meet up with my 9 year old son Ravi’s Yosemite field trip group. 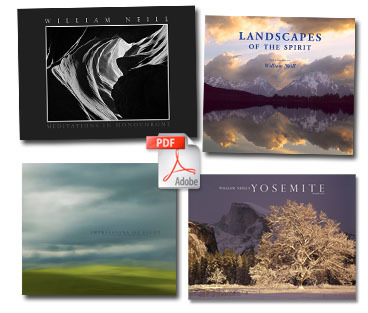 The first composition I tried was the one below. The branches were graceful and full of blossoms. The wind was light and there was little movement in the branches. 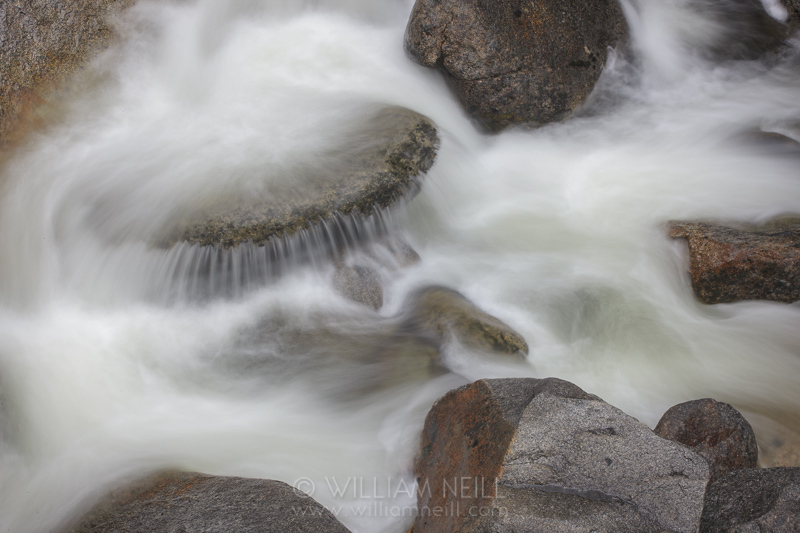 The water was high so the river was mostly dark with a few curving breaks of whitewater. 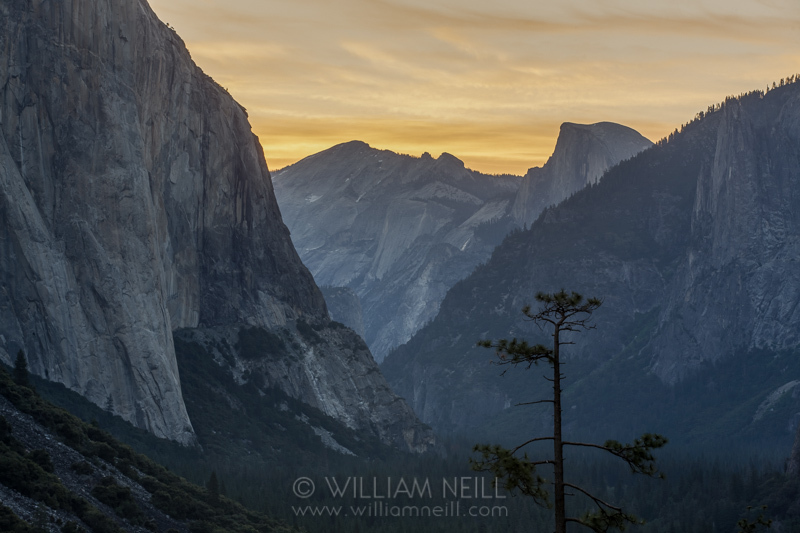 I am pleased with the image, but it is not up there with my best. 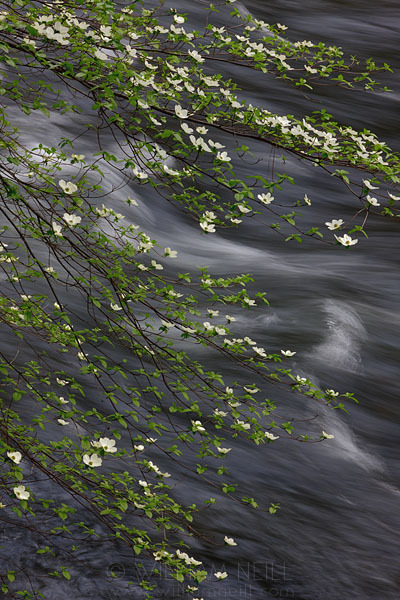 Finally, I spotted a dogwood tree next to the river that had a broken branch dangling in the rapid water. 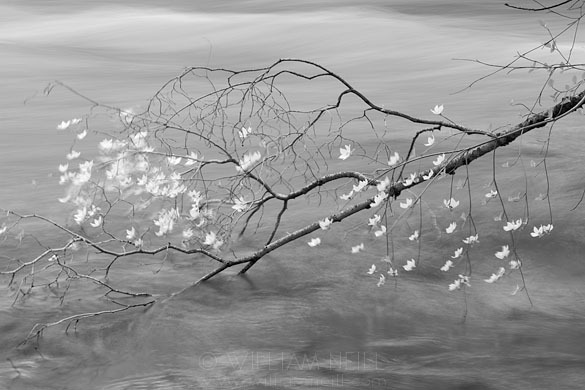 The blossoms danced to the movement of the river like so many dancing fairies. 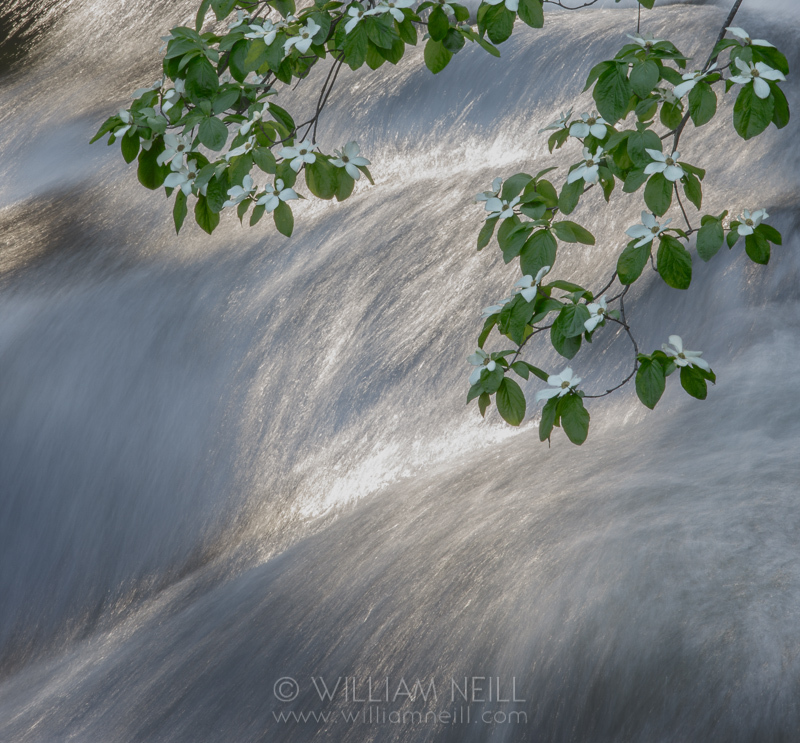 My first instinct was to use a fast shutter speed, so that the dogwood would be sharp. Even if I could freeze the action of the tree, the river rapids would look stiff and unnatural. 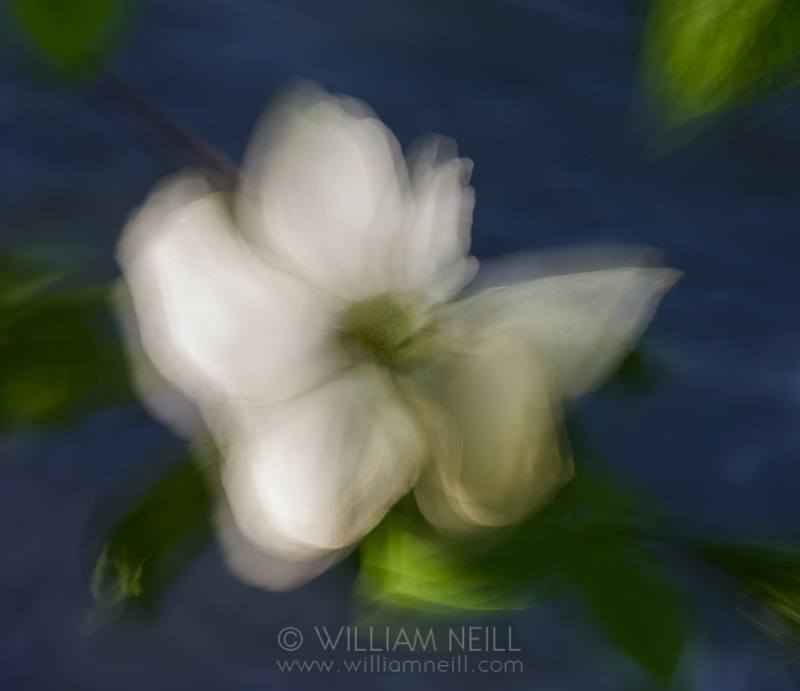 So I turned my aperture down to f/32 to see what kind of impressionistic effect I could capture by allowing the blossoms to dance their dance and for the river to blur softly in the background. 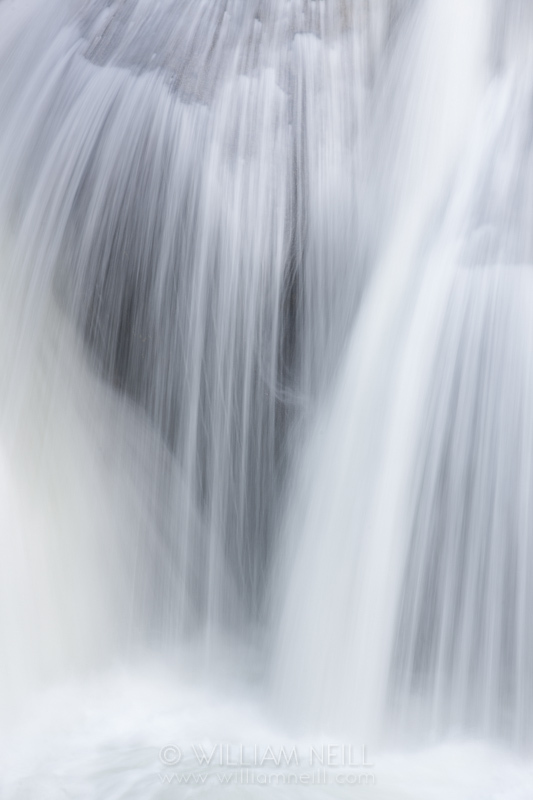 Since only parts of the whole branches were being shaken by the strongly flowing river, this image has an intriguing blend of sharpness and softness. I feel that the BW treatment adds to the delicate effect. Lesson: I find it important to visit locations where I feel at home. In this case, it was my dogwood Home Tree, and in general, the stretch of dogwood trees below Pohono Bridge. But in order to continue my own creative growth, and to raise the bar on my work, I needs to push myself to seek new views, new angles. Each time I hope to better my best! 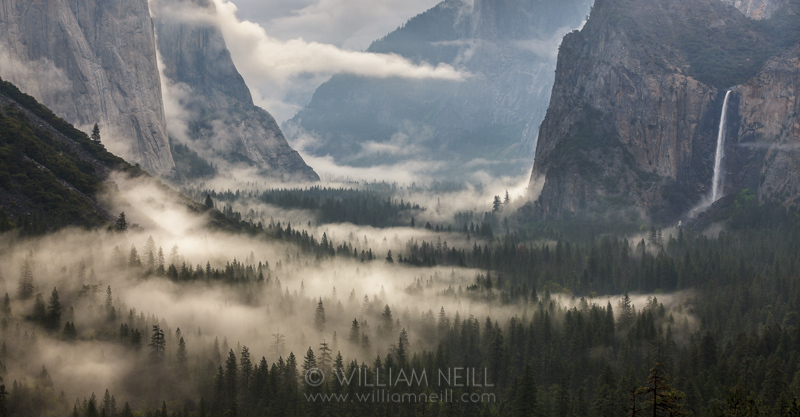 Let me know your thoughts about these two images.